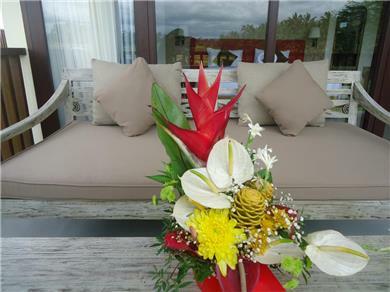 Feel welcomed by the authentic warmth of Balinese hospitality in UbudOne Villas & Resort. Experience the modern easy living and simplicity place. 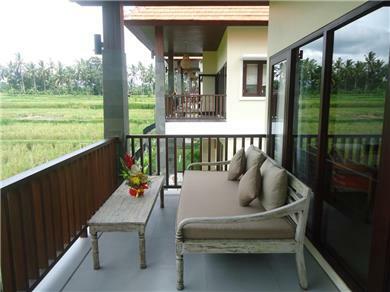 Explore the beautiful and exotic view paddy fields living through 0, 43 hectare or 4,300 square meters of lush tropical gardens surrounding the villas, 112 square meters public pool with 1, 30 meters deep. Feel the natureâ€™s friends such as tropical birds, duck yelling in the morning, wind breeze, frog yelling in the evening and sound of water flowing. The villas is only 60 minutes-drive from Ngurah Rai International Airport and kuta area, 15 minutes from Ubud center and Sacred Monkey Forest. 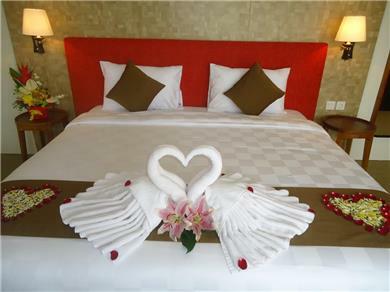 Also strategically among famous tourist attractions such as; Kintamani, Ayung River Rafting, Bali Zoo, Goa Gajah (Elephant cave temple), Gunung Kawi (Rocky temple), Tirta Empul (The holy spring temple), Tegalalang (Rice terrace view), tegunungan waterfall and etc. 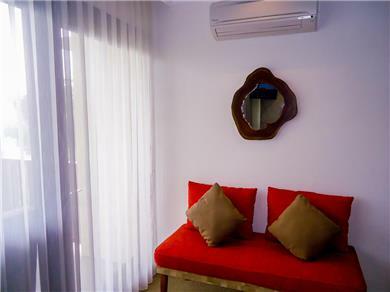 This twin/double room features a balcony, flat-screen TV and seating area.